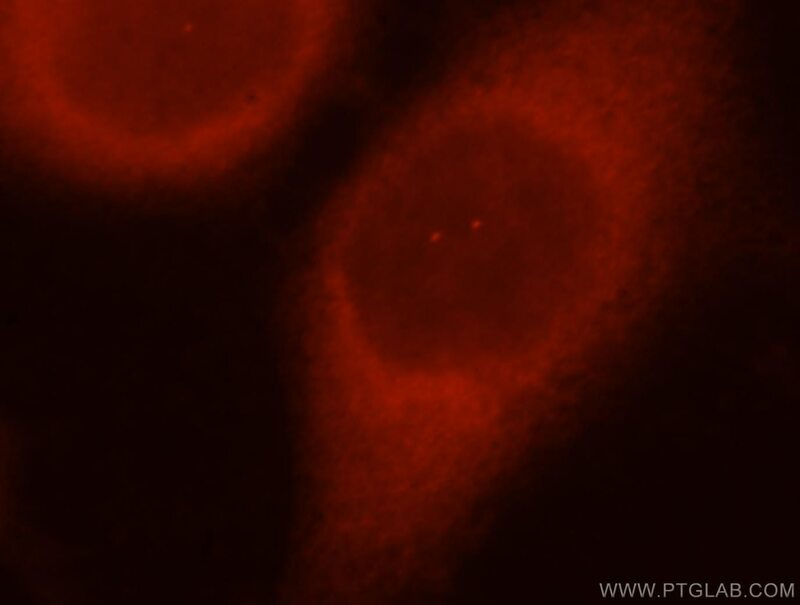 Immunofluorescent analysis of Hela cells, using DNAJB1 antibody 13174-1-AP at 1:25 dilution and Rhodamine-labeled goat anti-rabbit IgG (red). 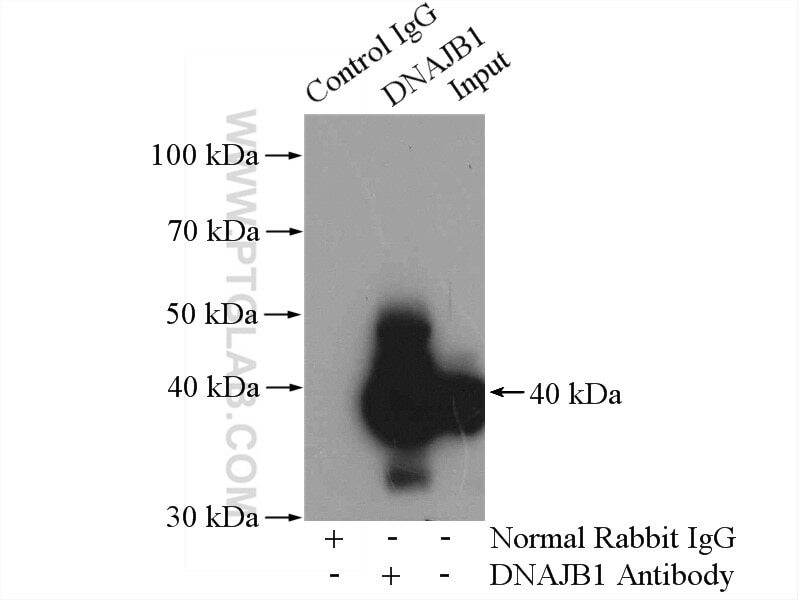 IP Result of anti-DNAJB1 (IP:13174-1-AP, 4ug; Detection:13174-1-AP 1:500) with mouse lung tissue lysate 4000ug. 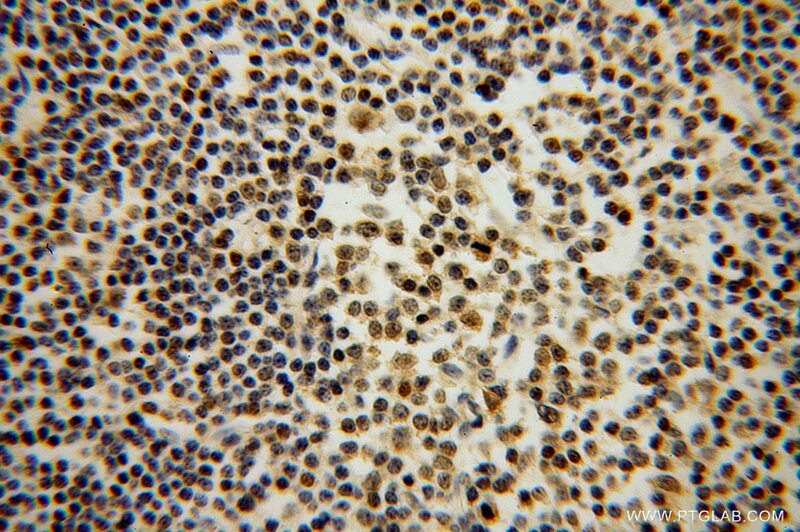 HSP40 Interacts with Pyruvate Kinase M2 and Regulates Glycolysis and Cell Proliferation in Tumor Cells. Crosstalk Between Chaperone-Mediated Protein Disaggregation and Proteolytic Pathways in Aging and Disease. 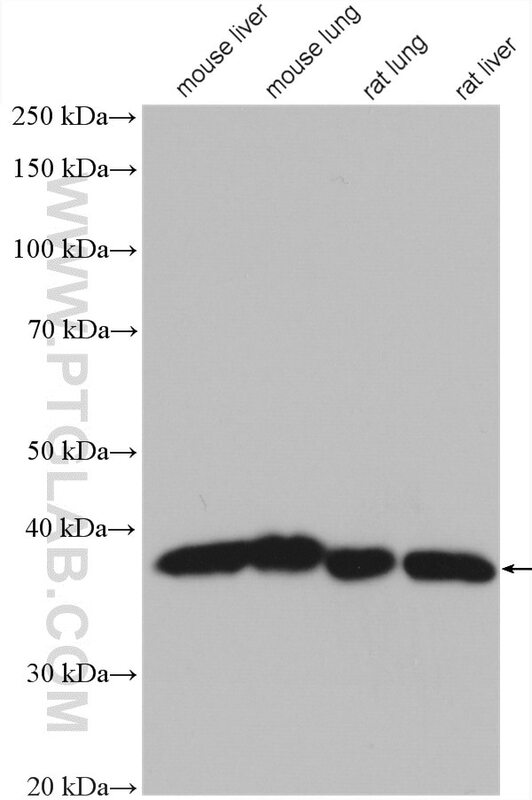 Identification of Hsf1 as a novel androgen receptor-regulated gene in mouse sertoli cells. 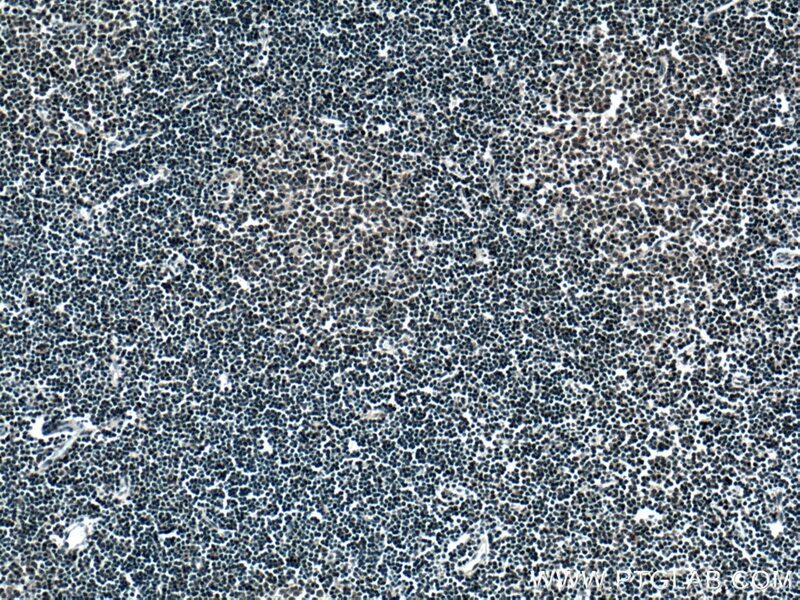 Inhibition of Heat Shock Protein 90 by 17-AAG Reduces Inflammation via P2X7 Receptor/NLRP3 Inflammasome Pathway and Increases Neurogenesis After Subarachnoid Hemorrhage in Mice. 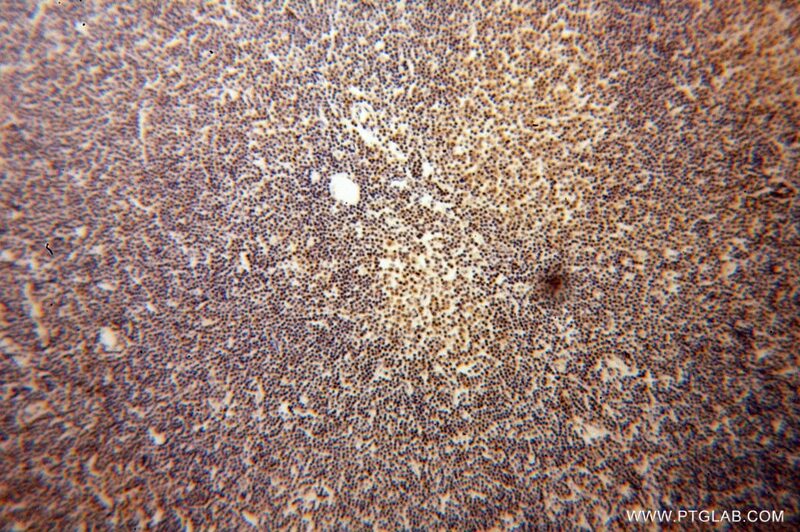 Immunohistochemical analysis of paraffin-embedded human lymphoma tissue slide using 13174-1-AP (DNAJB1 antibody) at dilution of 1:200 (under 10x lens) heat mediated antigen retrieved with Tris-EDTA buffer(pH9). 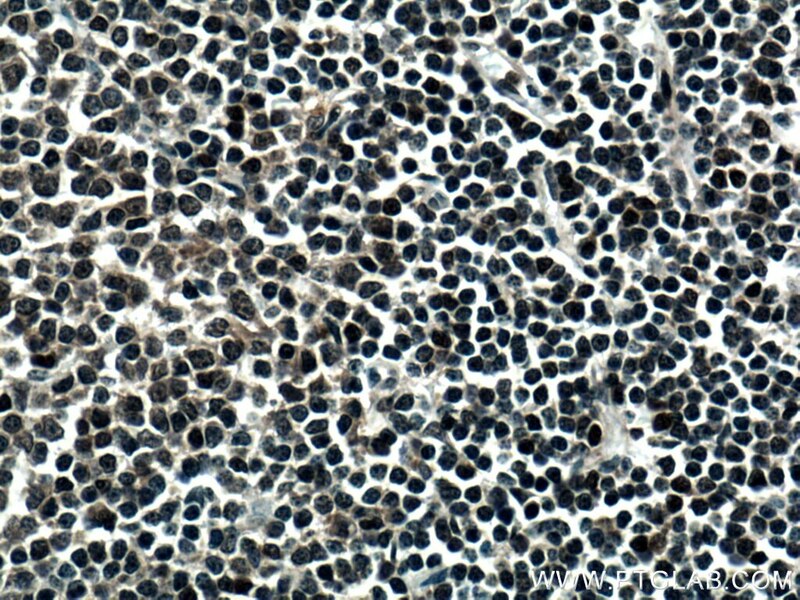 Immunohistochemical analysis of paraffin-embedded human lymphoma tissue slide using 13174-1-AP (DNAJB1 antibody) at dilution of 1:200 (under 40x lens) heat mediated antigen retrieved with Tris-EDTA buffer(pH9).